High Brightness and Excellent Picture Quality: With high 20,000:1 contrast and brightness, there’s no need to dim the lights in the lecture hall, as projected images are vivid enough even with the lighting on. Presenters can easily look at their materials and focus on their presentation, while the audience can comfortably take notes. 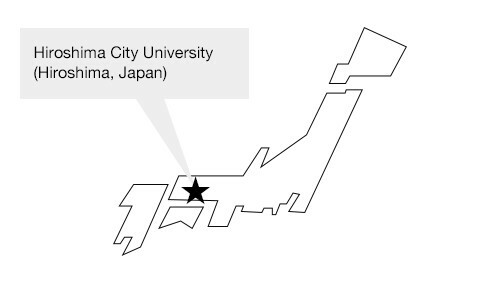 Hiroshima City University’s philosophy is to become an international university contributing to world peace and to the prosperity of the community through education and research in science and art. 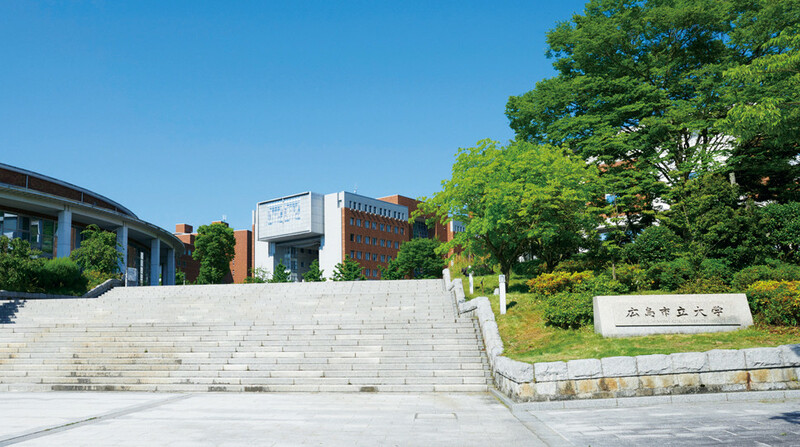 In 1994, the university opened faculties of International Studies, Information Sciences, and Arts. 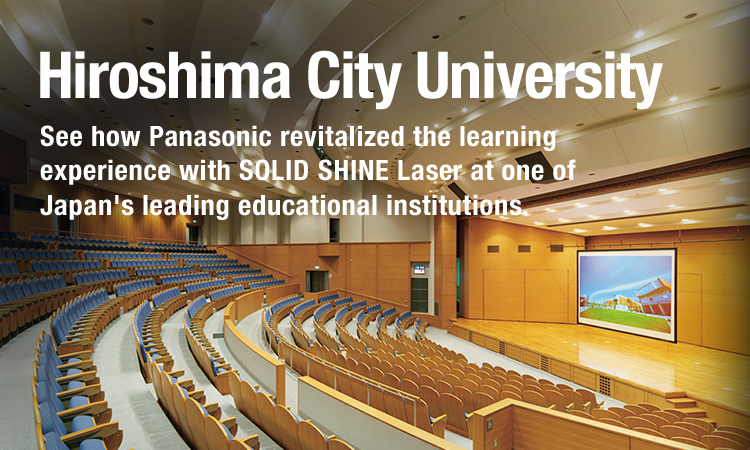 Two decades later, facilities are renovated with Panasonic projection systems including a 12,000 lm 3-Chip DLP™ SOLID SHINE Laser projector in the large lecture hall. “We consider it urgent business to renovate our aging facilities, not just for our instructors and students, but also to enhance the experience of guests attending our academic conferences and other events,“ says Yuji Takamura, Manager of General Affairs Section, General Affairs & Finance Division. 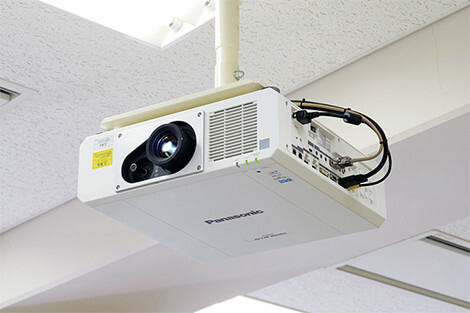 Panasonic DLP™ laser projectors are now at the center of the classroom. 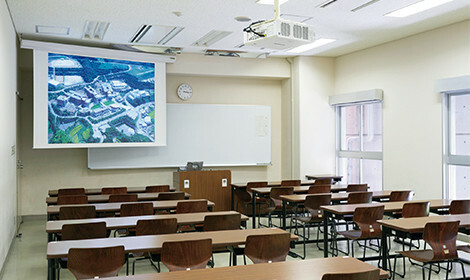 The Ichidai Intellectual Triathlon initiative is one example where Panasonic technology is enriching the learning experience, with students encouraged to read books, watch movies, appreciate artwork, and write reviews in line with university’s objective of developing a culture of sensitivity. 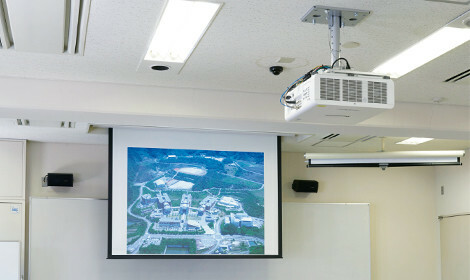 “With requests for more efficient maintenance, faster startup speed, and better picture quality, the laser projectors were the perfect replacement to answer these needs,“ said Mr. Takamura. in an educational institution in Japan. without requiring the lights in the seating area to be dimmed. PT-RZ12KJ introduced in the projection booth, opposite the screen. The PT-RZ12KJ employed in the lecture hall has 12,000 lm of brightness with high 20,000:1 contrast. 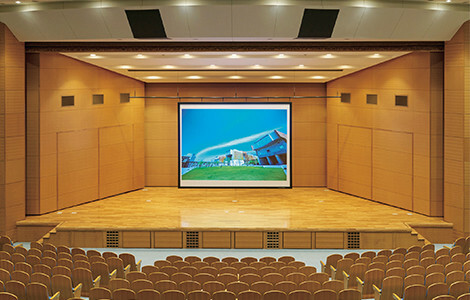 With this kind of imaging power, there’s no need to darken the lecture hall, as picture projection is bright and vivid enough for comfortable visibility. “This means presenters can focus on their presentation skills and look at their materials, and the audience can easily take notes, enhancing participants’ understanding and concentration,“ Mr. Takamura said. In addition to the PT-RW630JW, Panasonic 55-inch TH-55LFE8J displays mirror content for students at the back of the class. 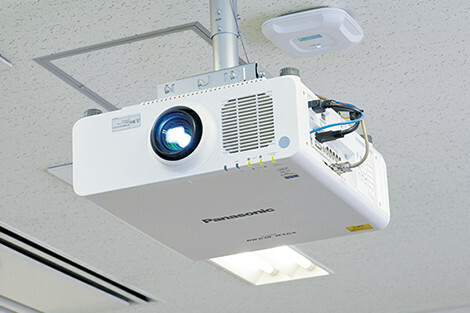 Conventional lamp-based projectors take around a minute to start up, and also require cool-down time to prevent damage. SOLID SHINE Laser, meanwhile, has a Quick Start/Quick Off function, delivering full brightness in just a few seconds, and is fully protected from damage when switched on and off repeatedly. Various standby modes reduce energy consumption when not in use. “Efficiency in energy conservation and cost certainly appeals to us,“ says Mr. Takamura. Picture quality is vivid even with natural light entering the room. 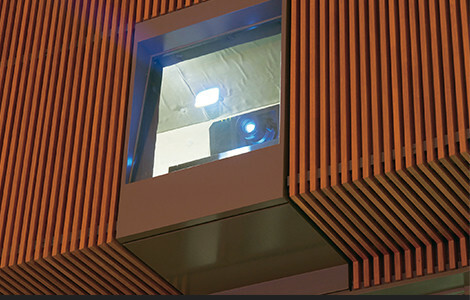 Flexible screen location accommodates simultaneous use with a whiteboard. DIGITAL LINK single-cable connection is used.